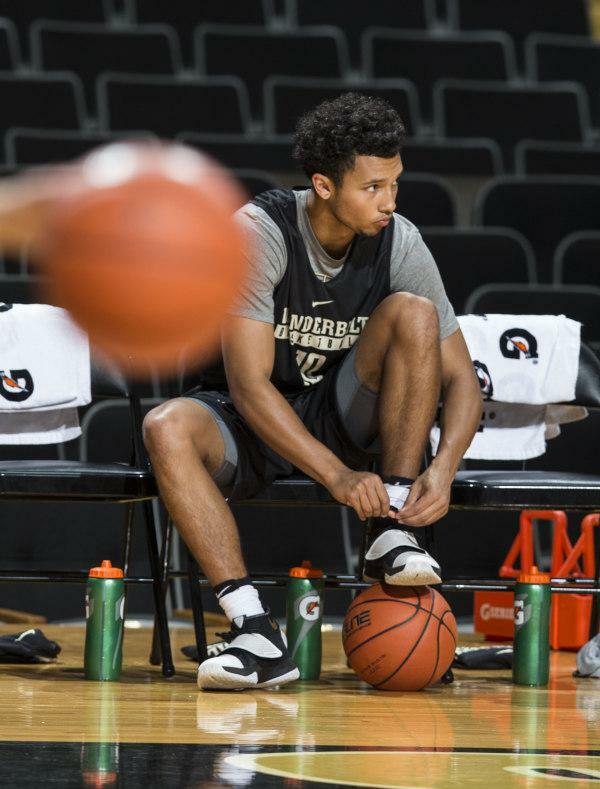 The key to Vanderbilt men’s basketball’s 2016-17 season may lie in the hands of an untested freshman. A year ago, the Commodores shouldered huge expectations with a team full of experience at every position. Point guard Wade Baldwin IV was coming off a strong freshman season and looked like the perfect man to run the team. Now, Baldwin is gone. The talented underclassman put his name into the 2016 NBA draft, where the Memphis Grizzlies selected him 17th overall. That leaves a major vacuum at point guard for the Commodores, and first-year Payton Willis will likely have to step up if Vanderbilt hopes to return to the NCAA tournament. Junior guard Riley LaChance struggled last year after moving from shooting guard to point guard, and the ‘Dores have no other players on the roster with meaningful experience at the point. Willis has played mostly point guard in practice, and he will need to adjust to a new role, set of teammates and level of competition in the SEC. The key to making the adjustment to college has been Willis’ development over the summer. The SEC is known as one of the more physical conferences in college basketball, particularly in the paint: Last year, the league led all of Division I in the percent of two-point attempts blocked, according to KenPom.com. The 6’4”, 182-pound Willis has the frame to grow into an imposing figure at point guard, but more time in the weight room is necessary to reach that status. Another part of Willis’ development has come on the defensive end. Both LaChance and Matthew Fisher-Davis, Vanderbilt’s two primary backcourt returners, have been below average defenders through their first two seasons in Nashville. Adding a third defensive liability puts the Commodore big men at risk of foul trouble as opposing guards stroll right into the paint. At the top of Willis’ to-do list was improving against ball screens and down screens, as well as tightening up his one-on-one pressure defense. Continued improvement in these areas would go a long way toward earning him a starting role. Drew is quick to downplay the importance of positions once the offense settles into its halfcourt sets, but LaChance and even Fisher-Davis are lined up to play some point, as well. Regardless of whether Willis, LaChance or both are in the game, however, the Commodores will look to get their point guard plenty of opportunities to shoot. Indeed, shooting is one area where the Commodores won’t be lacking when it comes point guard play. Willis shot 38 percent from three in 2015 on the AAU circuit with Team Portis Wings Elite and nearly 45 percent at Fayetteville (Ark.) High School as a junior. LaChance is a career 37 percent three-point shooter at Vanderbilt on more than four attempts per game. Willis will work both on and off the ball, but his ability to drive the lane should push LaChance to the two-position more often than not when they share the court. According to Hoop-Math.com, LaChance shot just 43.3 percent at the rim last year and 33.5 percent on two-point jumpers. Vanderbilt may be better off letting Willis handle the ball while shooters such as Fisher-Davis and LaChance spot up outside the three-point line. Ultimately, however, it’s Willis who can add a new dimension to a team that otherwise lacks pop at the point guard spot on both ends of the court.